I had a good meal at Taiwan Cafe in Pleasanton last night. I’m not familiar with Taiwanese food, so ordered dishes with Taiwan in the name or suggestions of the server. 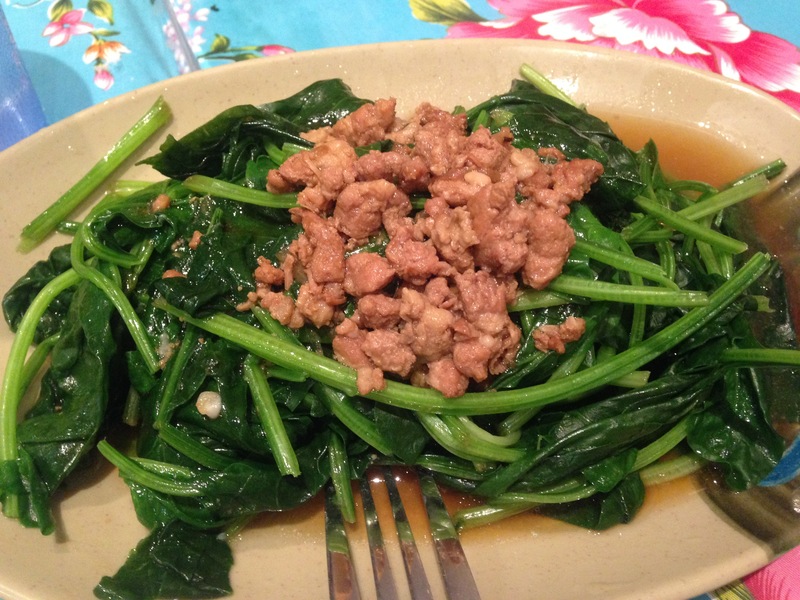 The “boiled vegetables” are sautéed spinach topped with seasoned ground pork. Simple dish and a good way of getting greens. 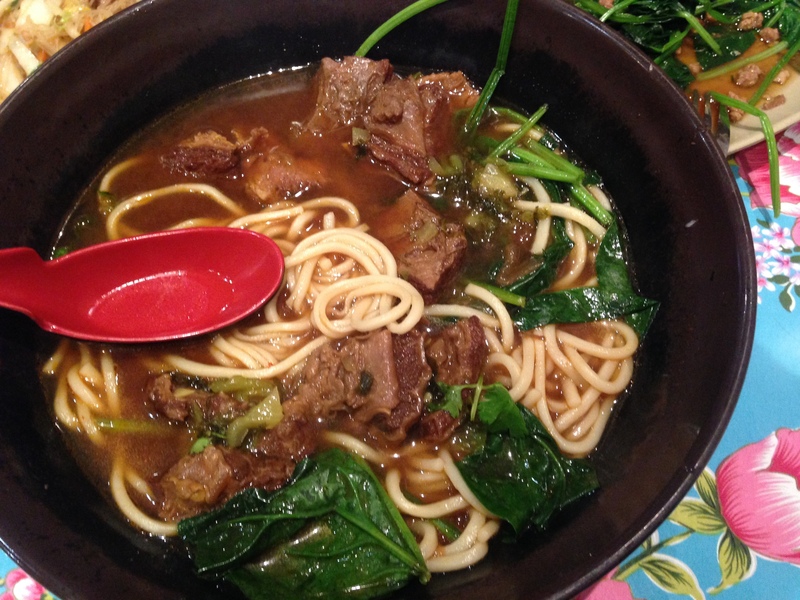 Taiwanese beef noodle soup was very good. The broth was meaty and was rounded with rice wine and the non-licorice flavors or star anise, if that makes any sense. Juicy pieces of brisket (? ), some of which required a few thousand chews. It’s topped with fermented vegetables. I didn’t ask if the Taiwanese sausage was made in house, but it was so good I’d prefer to keep my head in the sand. 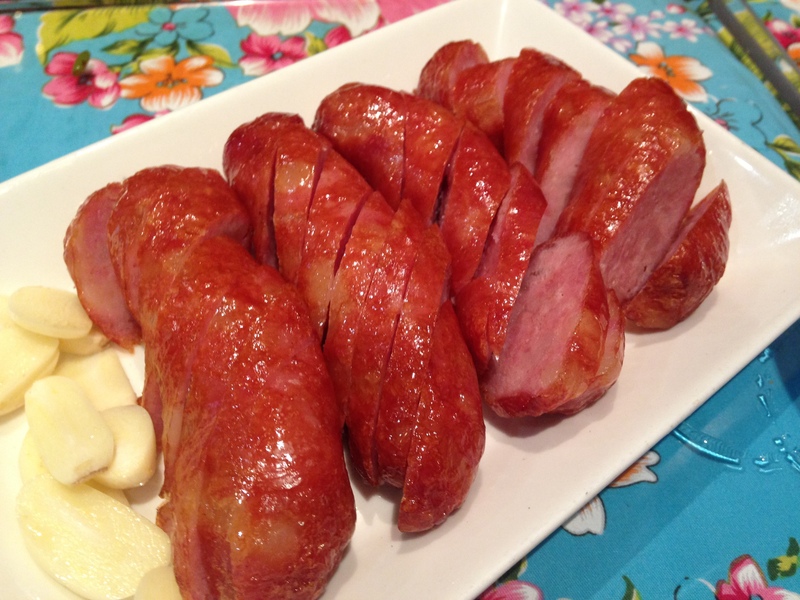 A bit sweet and unlike any Chinese sausage I’ve eaten before. Skin had snap, and was crispy at parts. It’s server with slices of raw garlic. 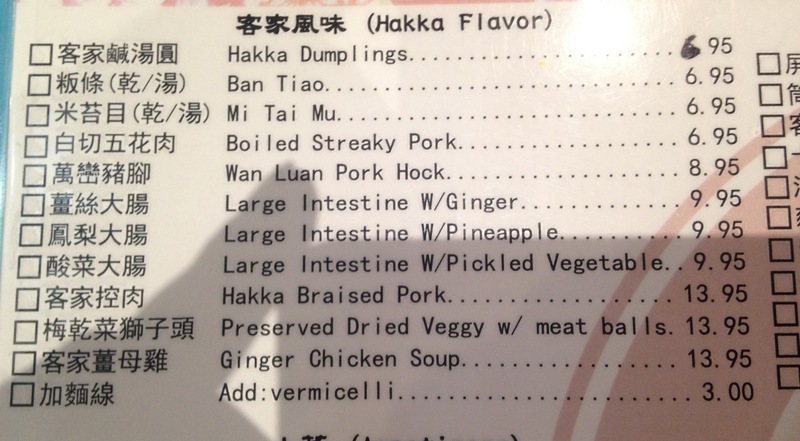 They have a section on the menu of Hakka items, and a few additional ones are scattered across the menu.